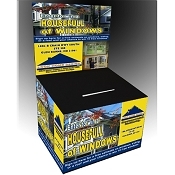 Countertop box with your custom artwork printed on decals. 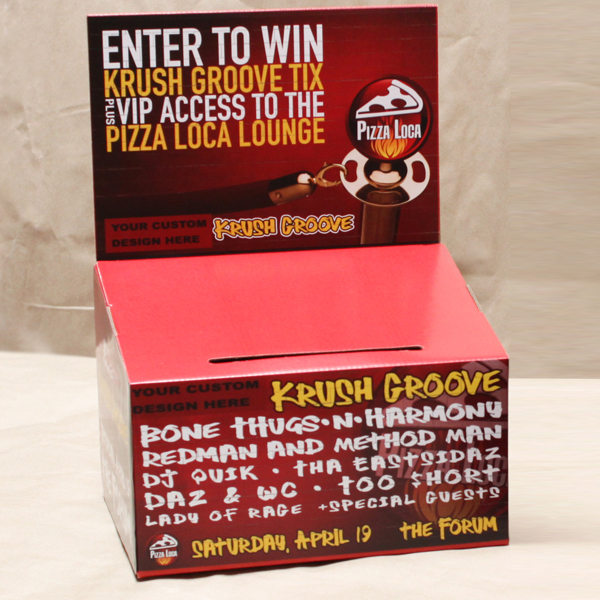 Registration Box, Entry Box with decals (design not included). 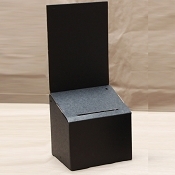 Also available in red. 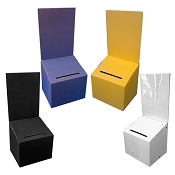 Customize this cardboard ballot box with your design to promote your brand, event or cause. 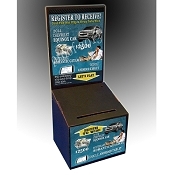 Use this ballot box for collecting leads, promoting your give-aways or simply as a suggestion/comment box to help establish customer/employee relations. 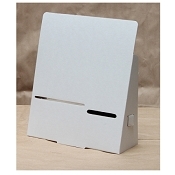 4 decal stickers that you easily attach to the top part(header), bottom front and sides of box. 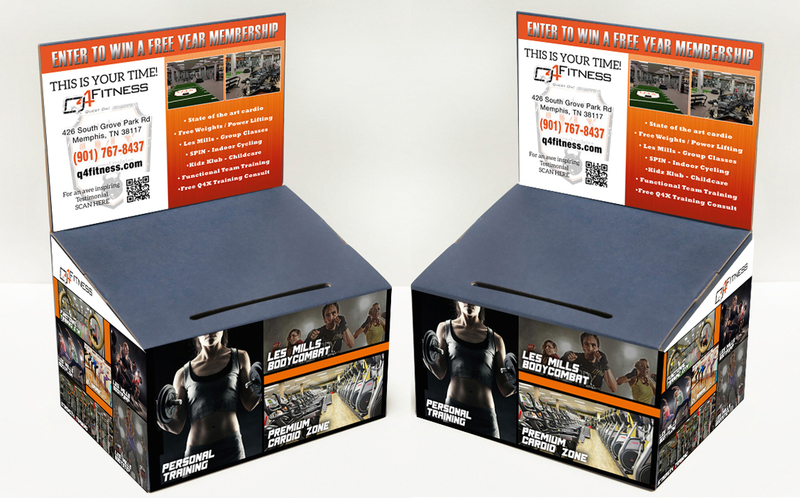 If you need a template please email germaine@leadbox.com . Qty less than 5: $8.99 + a $10 case break.